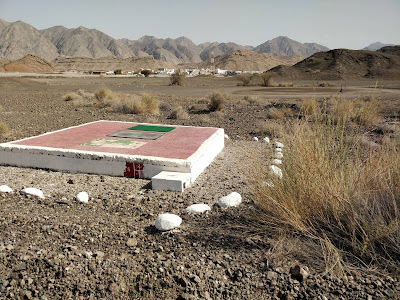 One of the things I really love about Oman is the random things you come across here. 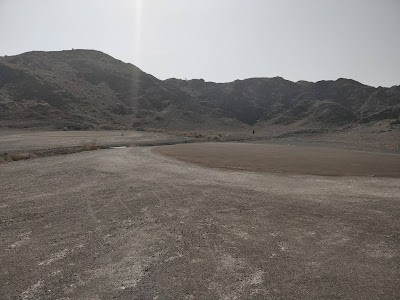 Recently in my work, I've needed to learn about desert golf courses (no, I don't mean lush green grass ones, I mean the classic old school ones) - like the Ghala Wentworth Valley course used to be before they greened it. 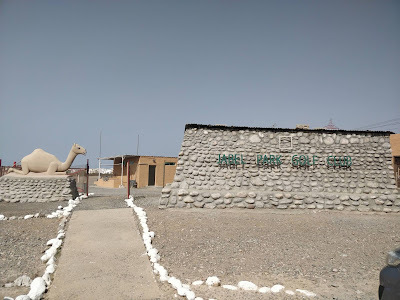 And so I found myself reaching out via a friend to the very nice gentlemen who tirelessly run the Jabel Park golf club in Ansab. 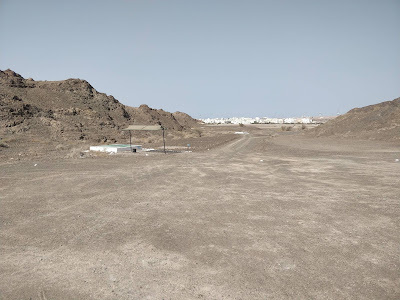 It took 15 minutes to get there from MQ (taking the Expressway - Google Maps link - a map is shown below) and I was greeted by a metal camel when I got there. The Club has its roots in the military and it was established, back in 1987. The course was moved to its current location in Al Ansab in 1993 and is one of the very last remaining true "browns" courses in the Middle East (I'm told that there are 2 other operating "browns" courses in Oman, one in Masirah, and another somewhere near Sohar). I didn't take any pictures of the inside of the clubhouse out of respect for some of the members that were there at the time, but it was very functional - comfy chairs, a/c, toilet & shower facilities and of course a robust bar. 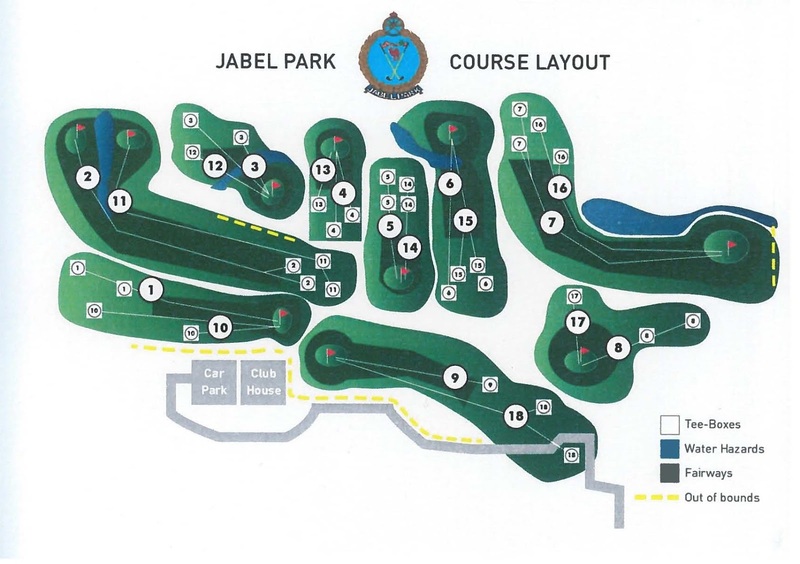 The course has been fully surveyed and is a true 9 hole sized course (albeit they have set it up in a way that 18 holes can be played with a number of different tee positions setup for each hole). I actually understand that there is 10 holes, with 18 different tee positions on those 10. 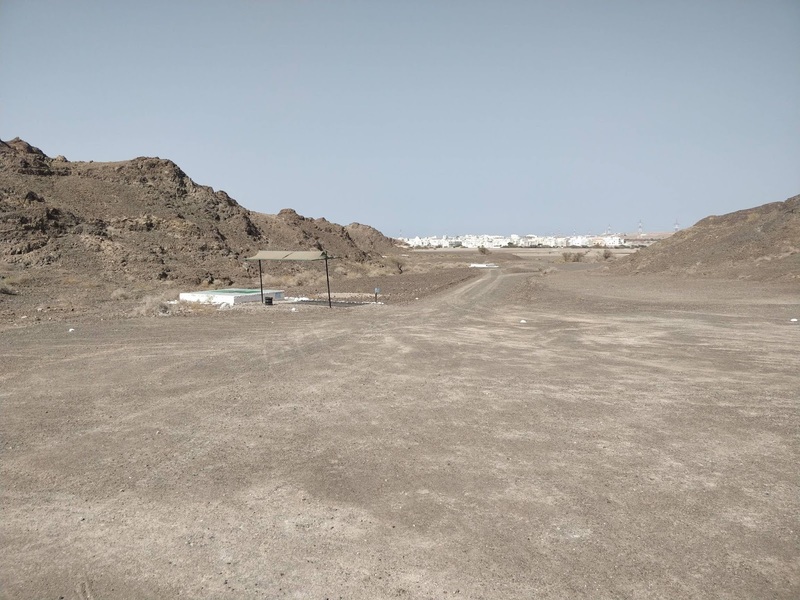 Its a par 73 course with 18 separate tees, and measures a total of 6175 yards for men and 5209 for ladies (source golfoman.com). The "browns" (greens... but they're brown) are made up from turned sand mixed with oil to create a surface akin to playing on grass. I'm told its a fine art, getting the mix between sand and oil just right, and it was evident that there was quite a bit of pride in this trade secret to keep the course up to scratch and playable. For the fairways, you carry (drag in the cart) a piece of astroturf which you place on the ground where your ball lands and then place the ball on top of the turf and swing from that. I think its great that one of these great pieces of modern Omani history is still alive and operating and am happy to share the news that this club, whilst operating as a military "member based" club, is open for all non-military people who would like to try the course or even become members. A small map to show how to get there. 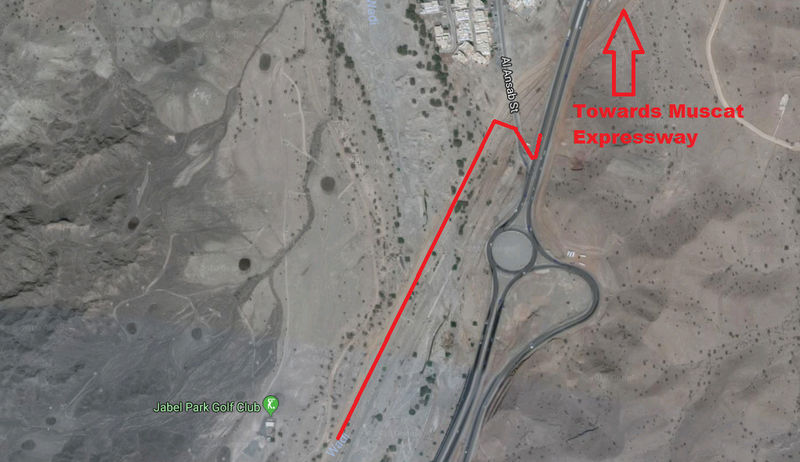 Basically just before the last r/a of Ansab there is a little exit - by the 100yards sign marker for the roundabout - turn right in there (as if you're coming from the Expressway) and then get on the wadi track - I'd take an SUV, although an all-terrain-rental-Corolla could probably handle it. And of course its nice to cool off with a cold beer in the club house afterwards as well - especially at RO 1 a time! To learn more about the course, or to find out how to become a member you can call Paul on 9147 0924.